It’s taken me a few days to calm down enough to actually write about what’s on my mind. For the most part, I don’t have a defeatest attitude concerning the larger world with all its ills and ugliness, but sometimes it just gets to be too much. 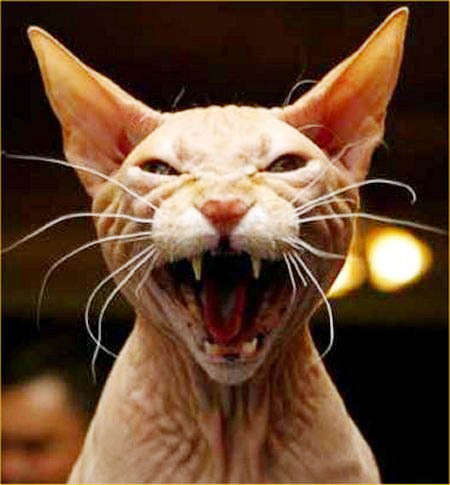 In these times, my natural cynicism goes to Def Con 9 or so. Late last week was one of those times that took me to a level PISSED-OFFness that I didn’t know existed. I could actually feel my blood pressure rise. It started with the seemingly impersonal happenings in Madison, WI concerning Public Workers’ Unions protests against having their collective bargaining power eliminated via state legislation. I’m not a Civil Servant and I don’t live in Wisconsin, so initially I saw the rucus as just more hot air coming from the bowed up chests of the political egomaniacs that reside in State (and National) politics. However, once some of the detailed facts began to be reported (ad nauseum), it was evident that this situation is/was a microcosm of the larger problems facing our society today. After a 17-hour debate, Democrats who were on the obvious losing side of the argument skipped town to avoid a vote on a bill to reduce or eliminate the collective bargain ability of public employee unions. Nice. They couldn’t have their way through Democracy (majority rule), so they effectively QUIT. How hypocritical…they did the EXACT opposite of what their party is NAMED FOR. So, what this shows us is that when you are on the short end of a vote, simply run and their is no vote. Yeah, that’ll solve alot of problems. Let me be clear, if it’s not already evident. I am NOT in support of Government Unions or Unions, in general, for that matter. I think that it’s patently unfair to have such dispartity between the private and the public sector in terms of labor structure. The danger of these unions has been obviously apparent in this latest “Great Recession”. While millions in the private sector have (AGAIN) taken cuts in pay structure, paid higher portions and overall medical costs and seen employers Retirement plans reduced, the public sector employees have continued to “bargain” for yet more benefits and more guarantees. The math is EASY. You cannot spend what you don’t have, yet our consumption society continues to do just that. The U.S. is largely owned by China (who holds our bonds), due to the fact that our government is leveraged to the tune of over $14 TRILLION dollars. How can state and national governments continually be allowed to operate without a balanced budget? When people we know do this for an extended period of time, eventually the piper arrives for payment, right? Well, why should we think that this is not going to happen with our global governments? The real problem is the path we’ll have to travel BEFORE meeting the piper. $5.00 gas; $6.00 loaf of bread; $8.00 gallon of milk; $100 pair of Levi’s…is everyone prepared for that? At some point, everyone has to do their part to fix this mess. Individually, we have to be responsible in our own finances. Much of this has already taken hold. Part of my job is to keep up with consumer attitudes towards finances and to understand the associated behavior and one of THE biggest trends that we’ve seen over the last three years is the massive shift of consumers from “spend” to “save”. As a whole, credit card balances have dramatically decreased and average Savings and Checking balances have risen. Everyday, people around the country have tightened their belts, put off unnecessary purchases, and tried to “live within their means”. The federal government continues to try to “save” homeowners who couldn’t afford the home they bought a few years ago and can’t afford it now. Mortgage “workouts” are largely a failure as homeowners without wherewithal still can’t pay and ultimately end up in foreclosure…just six months down the road where more interest has been tacked on. These foreclosures produce a glut of inventory that is battered and fire-sale priced, adversely affecting other home values of people who have diligently paid their debt and taken care of their properties (ahem). So, I AM PISSED. Pissed because I’ve worked hard, paid my taxes, paid all my bills on time, stretched to save for a “rainy day” and for retirement, and in the end I get screwed. We’ve often sacrificed what we “wanted” for what was prudent, yet it feels like we’re the only ones. Young people today think that they should own a house by age 25, have a job with 6 weeks (or more) vacation, a 30 hour work week, and a $100k plus annual salary. The current culture immerses this younger generation in entitlement and instant gratification. The character traits of hard work, dedication, and honesty are largely forsaken for the path of least resistance to get what they want, now. In many ways, I see these public employees doing the same thing. Guaranteed higher salaries, platinum healthcare plans, FULL pay retirement after 20 years of service are ALL fully subsidized by the taxpayer, who are largely facing lower salaries, higher healthcare costs and cuts in their retirement (not to mention the on-going risk of 401k losses through a volatile stock market). While these public employees SAY they are willing to discuss cuts in benefits, the collective bargaining agreements allow them to re-address and effectively reverse anything put into place at any time — like when the political environment is more favorable. All they need to do is dedicate a larger portion of their union dues to Democratic candidates who become beholden to their bidding, and we’re right back where we started. I think that unions’ focus on worker safety and protections, particularly in the age of sweatshops and gender inequality, were and are important. Negotiating FAIR wages is also a benefit of union strength. However, multi-millionaire union bosses are WORSE than multi-millionaire CEOs. They are, in effect, riding the backs of the working man for their personal gain. Additionally, I firmly believe that NO union dues should EVER be used for supporting political candidates or lobbying specific issues. Government unions have a blatant conflict of interest in this regard. How can you fix schools when the behemoth teachers’ unions keep a stronghold on legislators who purposely avoid teacher accountability tied to merit and in effect, are creating an inferior school system because of it? I don’t know about you, but in my job, if I do a great job, I get more pay than if I do an ok job. Good teachers aren’t afraid of accountability — BECAUSE they are good! When I first started out in the working world, I was 17. I got a much coveted job at a local bank — starting at the bottom. Because I wasn’t going to college (my stupid choice), I was extremely fortunate to land a job that had great benefits and relatively good job security. People I knew had worked there for 10, 20, 30 years. So, at 17, I figured I had hit the jackpot. I would put in my 30 years of service, get my pension and retire to a bayou somewhere. At that time, the bank fully subsidized all health insurance premiums and the coverage covered just about everything. Deductibles were somewhere south of $200. Each year at Christmas, employees received up to three MONTHS’ pay depending on length of employment as a Christmas bonus. There were lavish Christmas parties where thousands of dollars and prizes were given away to employees. Each morning, pastries were provided in every break-room on every floor (there were 12), where refrigerators held free soft drinks, milk and juice for employees to enjoy on their guaranteed break time (2 at 10 minutes each) or mandated lunch hour. At 17, I had excellent pay, paid health insurance, a pension plan, AND those mighty Christmas bonuses. By 18, the bank had started a new fangled thing called a 401k plan, where they matched 100% of what I put in. Not up to a certain percent, but a full 100%. I was set. Then, the recession took hold. To survive, the bank had to address expenses. So, soon, the pastries disappeared, a coke machine replaced the refrigerator full of free beverages, the Christmas bonuses were folded into a one-time “raise” for employees and done away with, and we started to have to PAY part of our health insurance. No more big Christmas parties — our department received a nominal amount for each employee for us to have a small get-together. And the pension plan was discontinued. Those of us who had been hired with the benefit, kept it, but it was frozen at that point (I think that mine was worth $318) and distributed to the employee’s 401k. While everyone was very disappointed, no-one complained much because everyone needed their job. Plus, every other company was in the same boat and doing the same thing. Bottom line is that the boom days were gone and austerity followed. I bore you with my worklife infancy to illustrate that yes, providing such great benefits was very motivating and created a very secure workforce. But, in the end, it couldn’t be sustained without bankrupting the company. We all had to make sacrifices just to survive. And, here we are again. The private sector continues to cut benefits to a minimal amount, yet public employees are receiving benefits considered obscene by most of us in the private sector. Guaranteed monthly salaries for life, total paid health care (not available to the general public), along with other paid benefits simply can’t be sustained by municipalities and taxpayers, given the large number of public workers getting ready to retire. Bottom line is that the problem needs to be solved. Government needs to govern, not run to the next state. Not everything will go your way when the people are largely opposed to benefits through bullying for a section of the population that creates a disparity of inequality. Remember, the American psyche hinges on “FAIR”, so things have to get more in line. I’m sorry that the gravy train ends for public employees, just as I was when my own gravy train ended nearly 30 years ago. I truly appreciate teachers, policemen, firemen and mail carriers, but, if we are all to survive and create a general “better world”, then everyone’s got to give some to get some. It’s simply your turn. So ends Part 1 of my Rantasaurus. I mean not to offend, but simply to rant. And, I can do that…because it’s MY blog. …Part 2 to come and it’s a doozy. 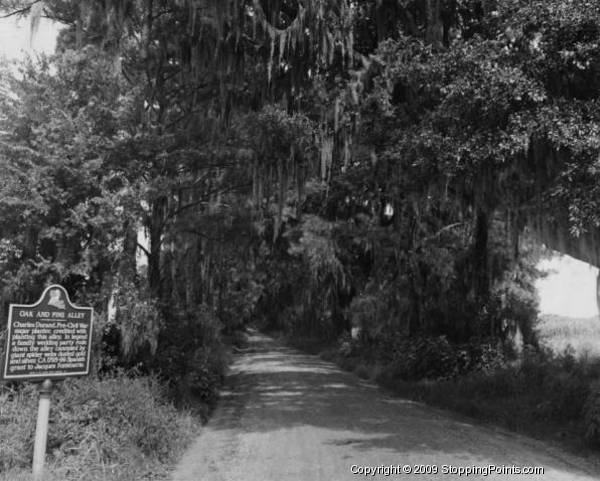 Recently, it came to my attention that an old oak tree in my hometown of Youngsville, LA was going to be sacrificed for a TEMPORARY by-pass road to build a much-needed road improvement project. However, the tree was never threatened by the new road and intersection “round-about”, just the temporary road needed to keep the intersection opened for the 30-60 days for the project to be completed. 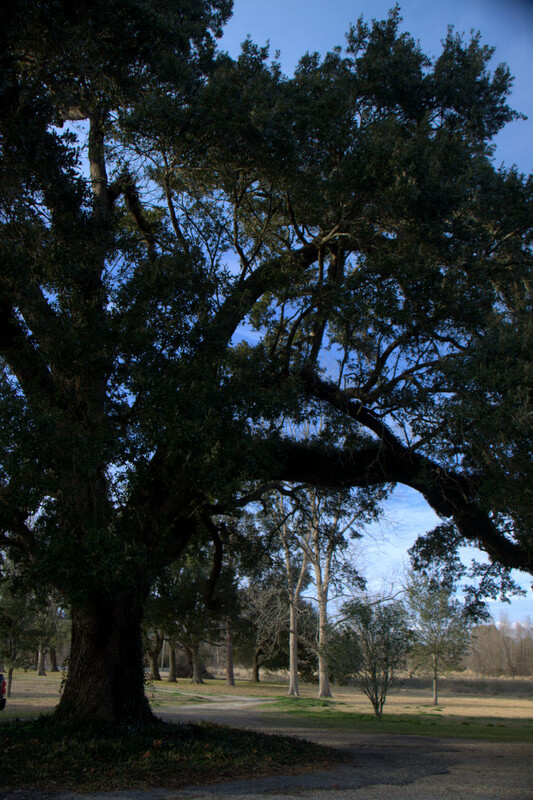 To put this in proper context, you have to understand the value of the live oaks of Southwest Louisiana. They are not only steeped in history, as many of them supercede the existence of the state of Louisiana and even the country of the United States itself. 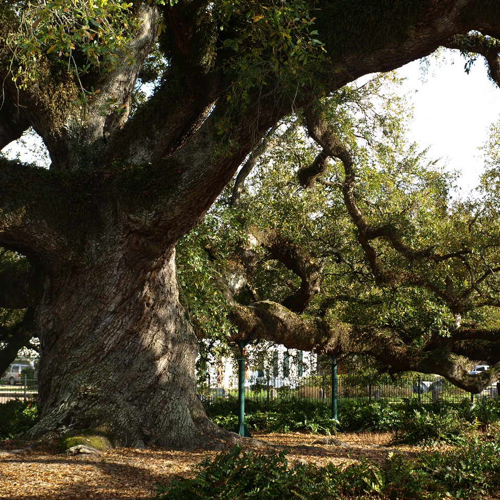 The live oak in question is estimated to be at least 150 years old and could be more than 250 years old, based on its’ 14 ft. thickness. It’s just a tree, right? True, enough. However, it’s also a symbol. A symbol of a strong and proud heritage. 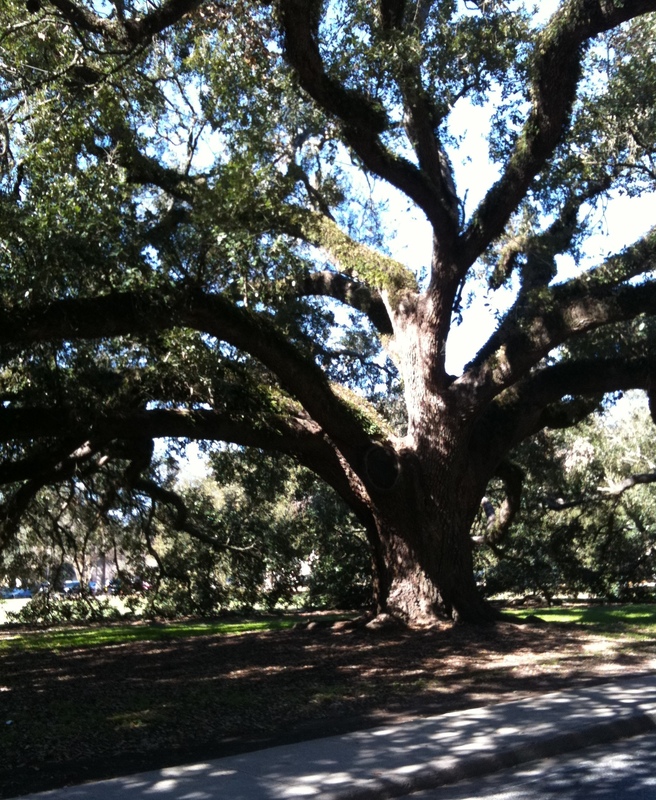 That tree stood when Attakapas Indians still roamed the plains of Louisiana. 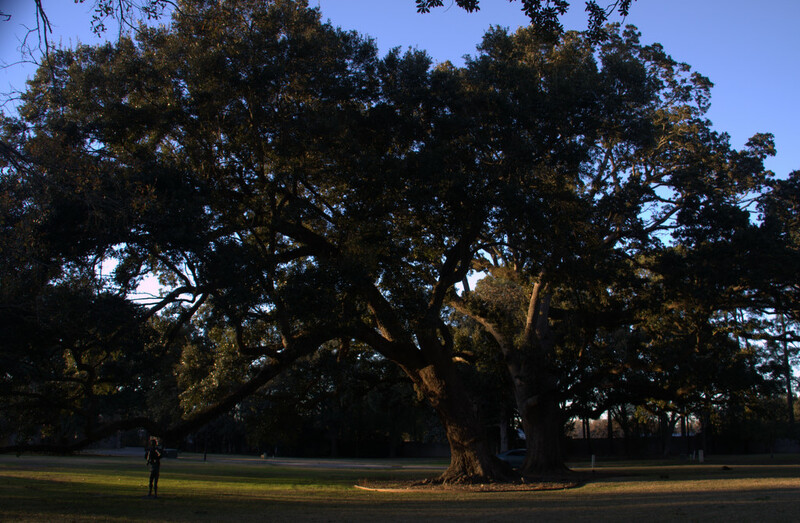 Generations of Cajuns (and visitors) passed that tree over its history. When Dr. Young, who the town is named after, searched for a homestead, no doubt this tree attracted him with its protective branches from the un-air-conditioned summer heat. No doubt, my grandparents passed that tree in their horse and buggy on the ride they took when my grandfather proposed to her. Both of my uncles likely looked back at that tree when they went off to war, and lovingly gazed upon it when they returned. These majestic creatures have endured the test of time to provide the backdrop of our lives. This past weekend, I traveled to my hometown and everywhere I went, the oaks seemed to remind me that one of their own needed help. I did something that I’d been promising to do. 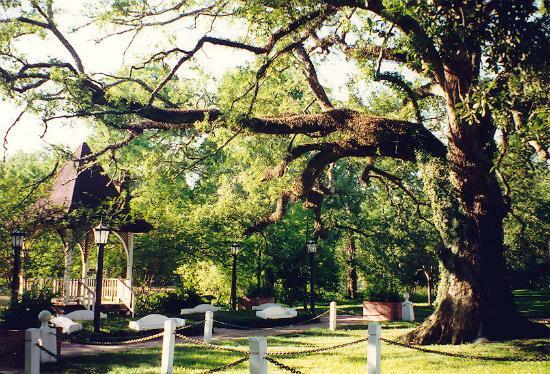 I went to the place where I grew up…on seven acres, complete with ponds and wonderful, triumphant oaks. 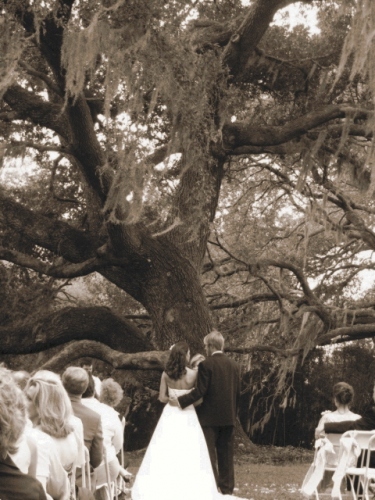 Growing up, there were a pair of oak trees on our property that were over 250 years old when we lived there. The property had belonged to my father’s great-grandparents and were likely rooted at the time they lived there. My grandfather did surgery on one of them to save it back in the 1930’s. I joyfully played make-believe among them as a child. My sister married beneath them in 1979. 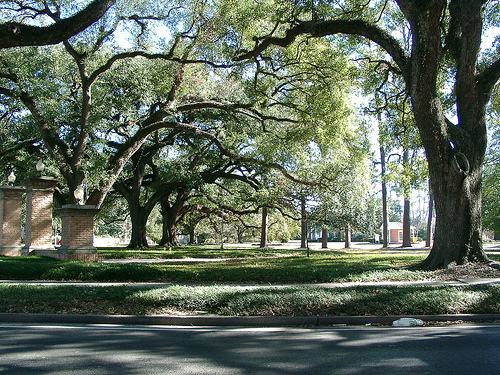 Luckily, the people who developed the subdivision recognized the value of these old oaks and chose to highlight them, rather than chop them down for another lot. They are simply…spectacular. So many trees, so many memories, so much history. It made me ponder how anyone could allow such a symbol and a living testament to God’s magnificence to be chopped down, murdered in affect. Now, hear me…I am not an activist nor do I consider myself an envrionmentalist. I get it. But, this time there is an alternative. The intersection at Hwy 89 and Hwy 92 in Youngsville, LA can be closed for a brief period of time to allow the road construction to be completed, or the temporary by-pass CAN be re-routed. 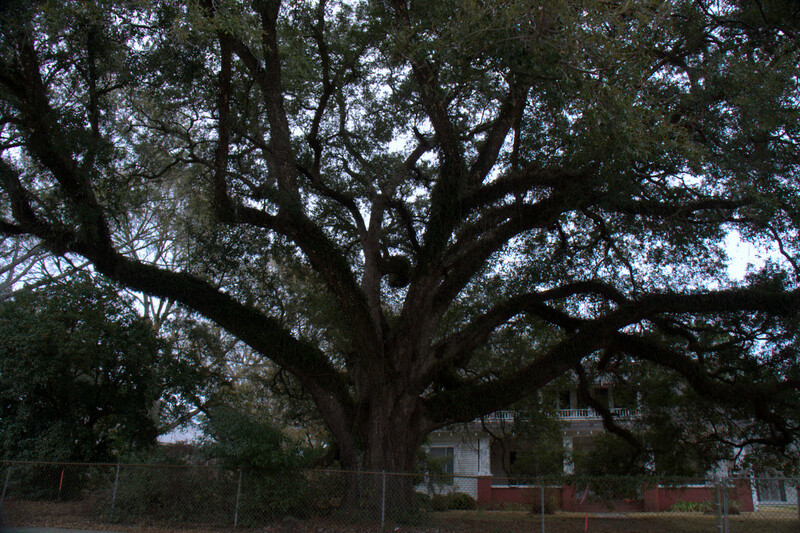 However, the “City” Council and Mayor have chosen to be close-minded regarding the situation and now even claim that the citizens of Youngsville don’t even care if the tree comes down. If you agree with the city government, well…to each his own. But, if you don’t, PLEASE let your voice be heard. Call the City Council @ 337-856-4181 or click here for email addresses for the City Council and Mayor. Also, click here to sign our online petition to show your support for saving the tree so that City Government cannot claim that the citizens of Youngsville “don’t care”. There is a possibility for moving the tree (not an overall preference, but a lesser of two evils). 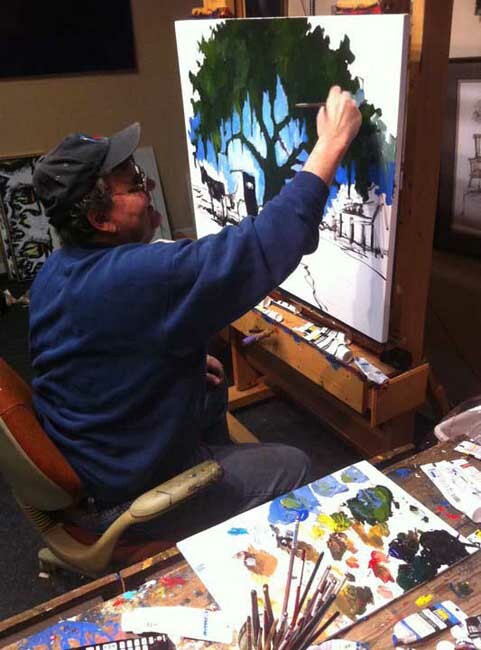 Helping to raise the more than $250,000 needed to move the tree, is artist George Rodrigue. 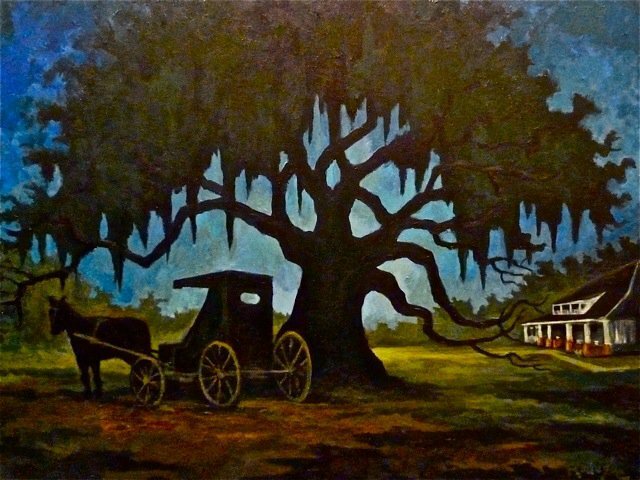 He has graciously donated his talent to paint the oak and produce prints for sale for $500 each, with proceeds going to Guardian of the Oaks — an organization fighting to protect our leafy legends. Renowned artist, George Rodrigue, painting the "Youngsville Oak"
George’s wife, Wendy, also has a great blog that highlights Rodrigue’s work and causes. He is a great testament to his heritage. Thank you, sir, for your support. GEAUX TIGERS!!! Beat the Aggies! I’m sick of worry. I’m sick of people taking advantage of others. I’m sick of senseless crimes that basically go unpunished. I’m sick of doing the right thing while others go through this life using and abusing the civility and politeness of others to enrich themselves with little or no regard for the affect on others. I’m sick of paying the freight for others who choose not to help themselves. I’m sick of being prudent in my finances by being frugal and others live high on the hog while my “investments” dwindle to nothing, endenturing me into my senior years just to pay the utility bill. The new President might be the cure, but I’m not going to be patient. While I know it takes time to right the ship, I want to see progress. I want to see the stock market going UP each day. I don’t want to pay additional taxes or more insurance or higher health costs with high fuel costs and lower property values. Put simply, my pay just doesn’t increase at the rate that all of this is increasing, so I’m basically walking backwards. We’ve worked hard. We’ve sacrificied. We’ve saved. We’ve lived by the law. And, for what? To sit on the sidelines and watch others who have done none of this walk away scot free with a pile of money with the final insult of us paying the bill for it. Parents are killing their children and instead of swift and just punishment, we make excuses, protect their rights and create a society of allowance. I’m nauseous. Where is the balance? Where is the moral outrage? Where is accountability? Is there simply no more structure in our society? Everyone just do what you want with little or no consequence? 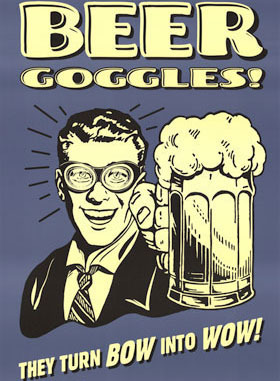 Country Music does make some good points now and then….a lot of “beer goggles” going on these days.